2014, why I called it "WETlentine Day"
as we all wet from the car park all the way to Station Onecafe at Kuchai Entrepreneur Park! and this is the Duo valentine day at the same day & our 3rd married "valentine day"
where we went and eat! 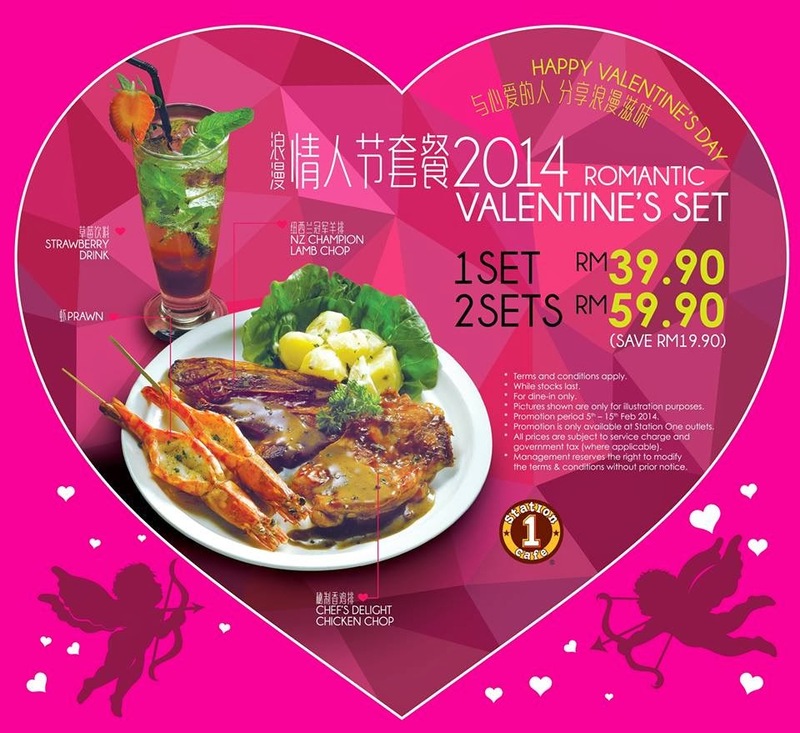 special valentine dish from station one cafe. Taste Sweet & Sour like our life. He ordered my favourite salmon steak! It's Over, specially for Valentine Day I think! The Dishes Is Yummy & Big Portion too. it is Wet Velantine Day for Us!